… as evidence of your solidarity to the fight against HIV and AIDS, and our recommitment to ending the epidemic as we have just done with polio in Nigeria. 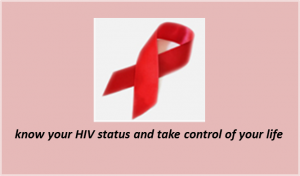 To mark this year WAD, there will be FREE HIV testing and counseling for everyone by CCCRN. Come and know your status and take control of your life.